You think you know how the world works? Think again. 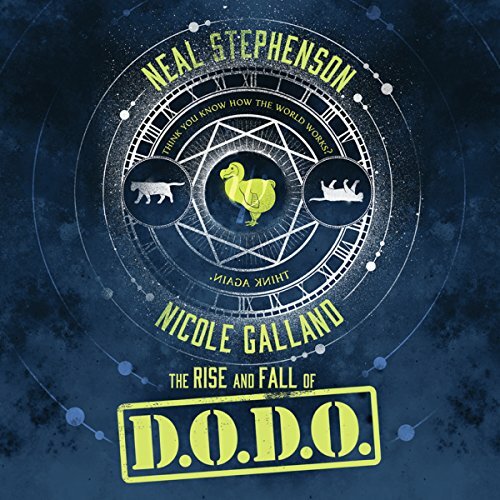 From best-selling author Neal Stephenson and critically acclaimed historical and contemporary commercial novelist Nicole Galland comes a captivating and complex near-future thriller that questions the very foundations of the modern world. The Great Exhibition at London's Crystal Palace has opened, celebrating the rise of technology and commerce. With it the power of magic - in decline since the industrial revolution began - is completely snuffed out. The existence of magic begins its gradual devolution into mere myth. 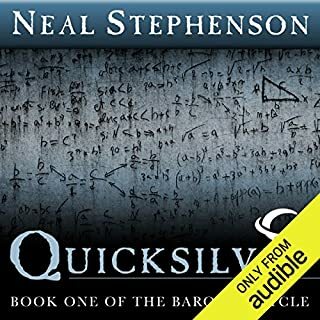 Magic has faded from the minds of mankind, until an encounter between Melisande Stokes, linguistics expert at Harvard, and Tristan Lyons, shadowy agent of government, leads to the uncovering of a distant past. 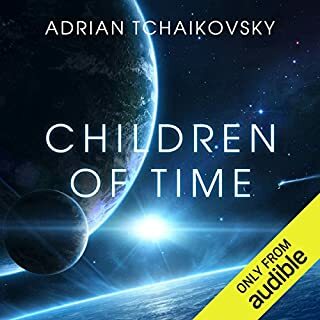 After translating a series of ancient texts, Melisande and Tristan discover the connection between science, magic and time travel, and so the Department of Diachronic Operations - D.O.D.O. - is hastily brought into existence. 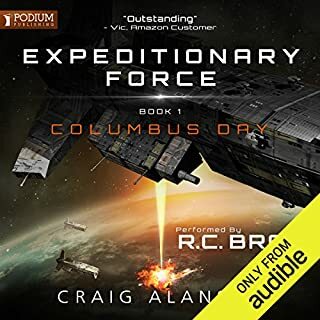 Its mission: to develop a device that will send their agents back to the past, where they can stop magic from disappearing and alter the course of history. 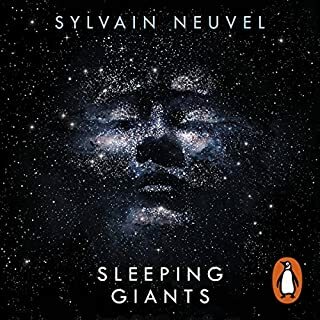 Written with the genius, complexity, and innovation that characterise all of Neal Stephenson's work, and steeped with the down-to-earth warmth and humour of Nicole Galland's storytelling style, this exciting and vividly realised work of science fiction will make you believe in the impossible and take you to places - and times - beyond imagining. 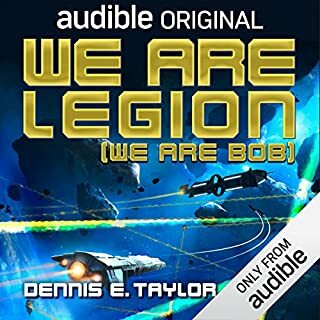 Full cast of narrators includes Robert Fass, James Foster, Tavia Gilbert, Arthur Morey, David Stifel, Charlie Thurston, and Kate Udall. Love the performance, accents and characters, great story can't wait for the next book, when??? 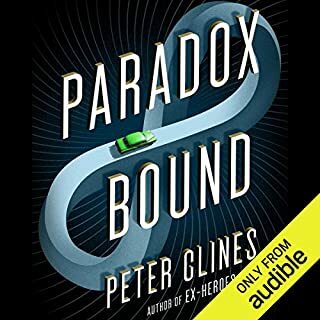 An excellent and very interesting idea and a very creative way to deliver the story (as extracts from personal journals, email, corporate memo etc)... but my oh my is it boring because the story is drawn out over an excruciatingly long time, which is Neal S’s style I guess. If you listed to it at 1.5 speed it is easier to get through. Great story. Love Stephenson's novels. Detail and narration work perfectly here. Highly recommend to others. 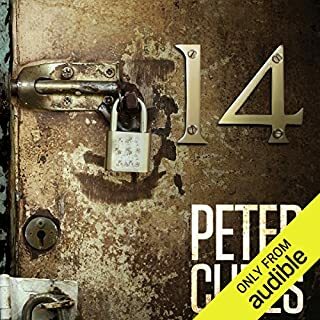 Loved every second of this audio book. The dramatisation is spot on and captures the humour and spirit of the story. 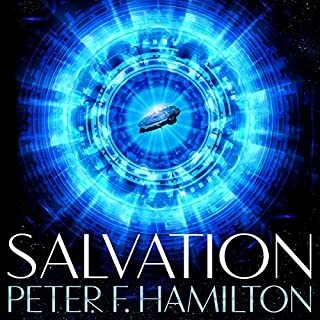 A great blend of genres and a delightful production by the readers. Highly recommended, enjoyed every minute. Magic for time travel?! Ugh. Not a fan. The performance is great. The epistolary structure is really well done. I just can’t deal with time travel stories anymore. Leave it in sci-fi and give me the fantasy! Excellent work as usual for Neal. Can't go wrong with his books. Narration is done well and isn't annoying at any point. Brilliant voice acting, good story. The voice acting is outstanding on this one, and the story is fun and fast paced...but it doesn't have a proper ending and despite it's length...feels like half a story. another tour de firce from Stephenson. bravo. cant wait for the sequel to be released. Very rarely I think is there a new concept in Time Travel fiction. It seems that there are a thousand stereotypical time travel stories that come out all the time. However this is not one of them. The Rise and Fall of D.O.D.O is a unique story that explores a new set of ideas around the operation of Time Travel. Time Travel is in this case a mesh of magic and quantum theory, that uses the Schrödinger's famous thought experiment as a basis for its operation. This book as the name suggests covers the rise and eventual fall of a secret government organisation known as D.O.D.O and the lives of various key members of the same. D.O.D.O.s humble beginnings are of a young US army member Tristan Lyons and a bored but intrepid university polyglot Melisande Stokes as they work through a stack of historical material on the existence of magic. There purpose: to find out whether it was real and how they can get it back. Questions abound; where can they find a witch? What was the notorious Professor Oda doing with cats, computers and superconductors in the basement? Should they even be meddling with time in the first place? And why are they increasingly being watched by members of a medieval banking clan? The Rise and Fall of D.O.D.O. is a riveting and hilarious story with many engaging and amusing characters. It is brought to life with great effect by the use of multiple narration styles. This book has a particular charm as the events are described though multiple lenses to provide a true history. At various points the story is told from a chronicle of the events, diary entries, letters, recorded interviews and reports. Each of these is normally accompanied by a change in narrator and in some scenes multiple narrators are used to achieve the effect of an in-depth interview or inquiry. This was one of the most original and entertaining Time Travel stories that I have ever had the pleasure to come across. It is well worth a credit! 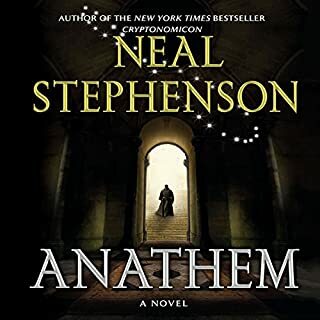 In the style of all other Neal Stephenson books. By that I mean Interesting ideas, cool bits of detail, a wide mix of characters, and a ending that falls apart. A good read but no real closure. The Fall and Rise of D.O.D.O. 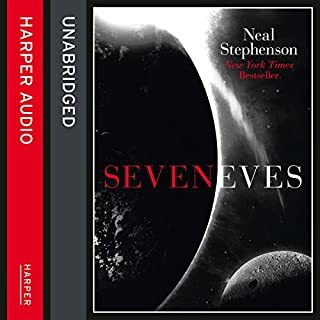 is one hell of an audiobook. 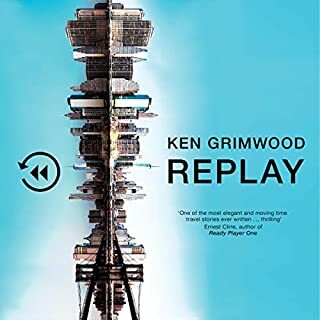 It delivers its story through the medium of journals, documents, social media postings and conversational transcripts with a varied cast of narrators each adding their own style to their particular sections. For the most part it barrels along delivering a deeply woven sci-fi plot garnished with a light touch of humour. The science gets complemented by witchcraft and is another interesting take on multi-stranded time travel. The relationship between science and magic is something I found generally interesting even if I possibly didn't 100% understand all of the concepts that were outlined in some detail. The highlight of the humour is largely a sustained attack on American corporate culture. If you've managed to avoid that during your life (lucky you!) then it might not mean as much but as someone who has endured it's ever-worsening tugging at my sanity this really did hit the target. I think the main strands of the plot and the sci-fi parts are well done though plot hole pedants will likely have a field day. The historical parts including one particular Irish character's views on England's greatest bard are also pretty funny. It never quite takes itself too seriously. There are times when it dragged a little for me though. For some of the transcripts the repetition of time stamps which works well in print were mildly irritating and some of the humour icons appeared a little more often than they were probably worth. The ending felt fairly conclusive though it does leave things open for things to continue so the D.O.D.O may not really be extinct just yet. In summary this is a decent ride and rather more light-hearted then I had expected which probably reflects Galland's influence on Stephenson. Particularly given its length I was happy to spend a credit on it. 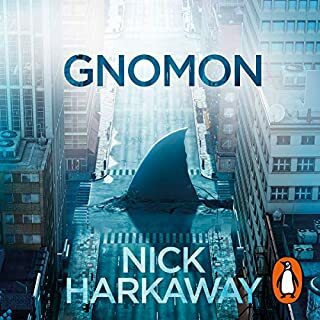 started out quite interesting but got quite boring with all the memos and reports that really did nothing to help the story. 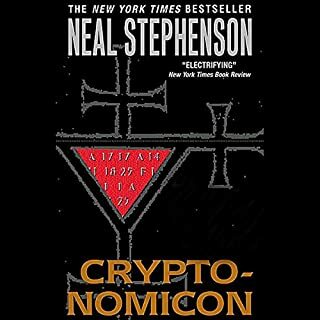 I have read many of Neal Stephenson's books from Snow Crash onwards and love the detail, weirdness, humour and multiple plot lines. This story style is only a little different, without so many parallel stories running, but still with a plot (or is it timeline? ), ultra weirdness and humour coming together nicely. 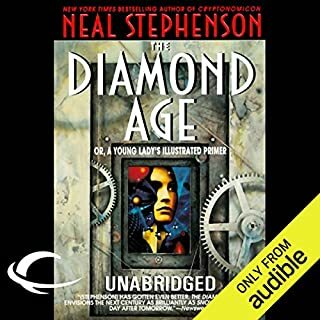 The collaboration of Neal Stephenson with Nicole Galland has worked very well, and together they have created a wonderful story that kept my attention throughout the mega 24 hours of narrated footage. There were a few areas where the story seemed to slow a bit, or was a little difficult to understand / get through, but hang in there - it's worth it!! Many of the last 4 hours listening are edge of seat stuff - you don't know which way things will go. The supposed time travel theory is developed nicely and well explained. 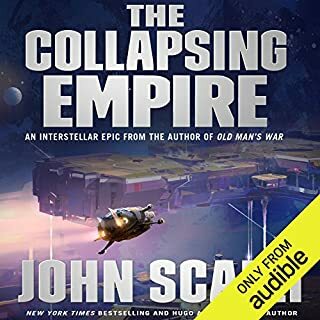 As an Audible narration rather than book I rarely had to go back and re-listen to understand. 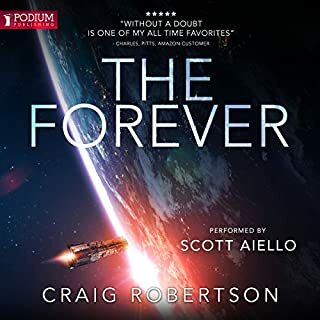 While all the narration was excellent, I would pick out the main narrator Laurence Bouvard playing Melisant Stokes as particularly talented; her mastery of different accents of young/old/male/female/nationality is amazing. To conclude - thoroughly recommended. I am looking forward to the sequel from Galland and Stephenson. Typical Neal Stephenson story. Science, history, humour and unlike anything else you have ever read. Neal's books are the only ones I buy on the day of release. I so enjoyed this book. the storyline was fantastic, with twists and turns and jumps back in time but I was still comfortably able to keep up! The performance was excellent and I enjoyed everyone of the narrator's characters. How on earth, does someone come up with this kind of storyline? I'm so impressed. It's a little bit like Jodi Taylor's St Mary's series but, in my opinion, more enjoyable because of the full cast performance. I am now wondering what on earth, I will do to fill my limited spare time. I'm not convinced I will find a book as good as this again! Too many 'lists' of facts, dates and times. Got a bit mills and boom in places. And didn't really go anywhere. The Irish 16th century whore was very funny talking about Will Shakespeare. Belief needs to be suspended from Chapter 1 reader. Amusing characters, plot excellent overall, but with a few, ' now what are you doing that for?' moments. Nicely narrated and the Grainne character really well written and read. 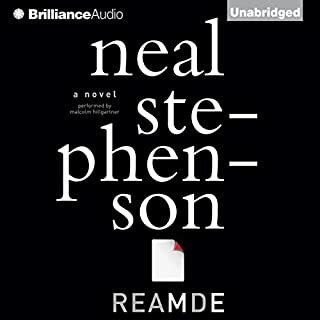 Stephenson is a brilliant writer and I respect his intelligence, his last few books went straight into my top ten. But something is off here, and I'm going to summarise it into two points. 1: one of the writers must have read the 'chronicles of st Mary's' books but forgotten that fact, as some plot points are carried over wholesale, but handled here with less flair and humour and by using far more words. 2: this kind of American centred story is all very well but the non American characters are handled very badly by the story, abused, imprisoned, pushed into selling their bodies for the good of the American government.... Really uncomfortable to read something so quietly persistent in its jingoism - it must be a clever 'doubled back on itself' author idea, but it just made me really dislike the 'hero' as self serving and disrespectful of other cultures. The American protagonists are strangely vacuous, are we supposed to be engaged by their 'will they won't they' relationship? The ultimate oddness in the story is that the approach to time travel is so dangerous and blind to consequence that from the first you are just angry at the US government for allowing something to be run so stupidly that it's obviously going to go wrong. It's as if the book has been written as a warning to not terribly bright teens that time travel is surprisingly dangerous... No shinola sherlock. 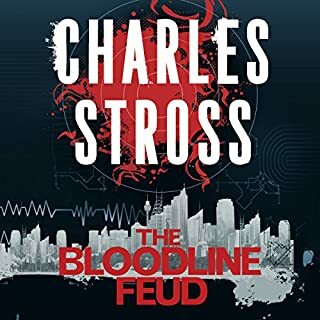 With constant twists and turns along with multiple characters read by different players keeps this unabridged version fresh and enthralling.